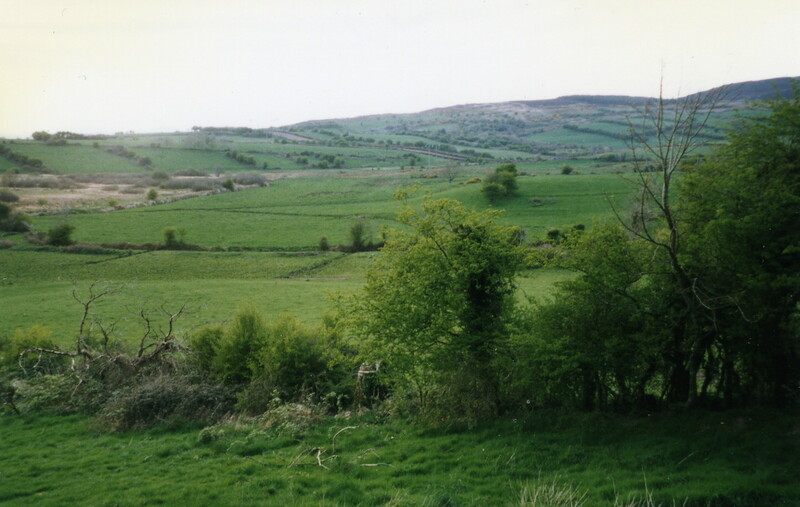 This post will cover one last Crusham ancestor from Ireland, as well as the one branch of the tree that came from Germany. 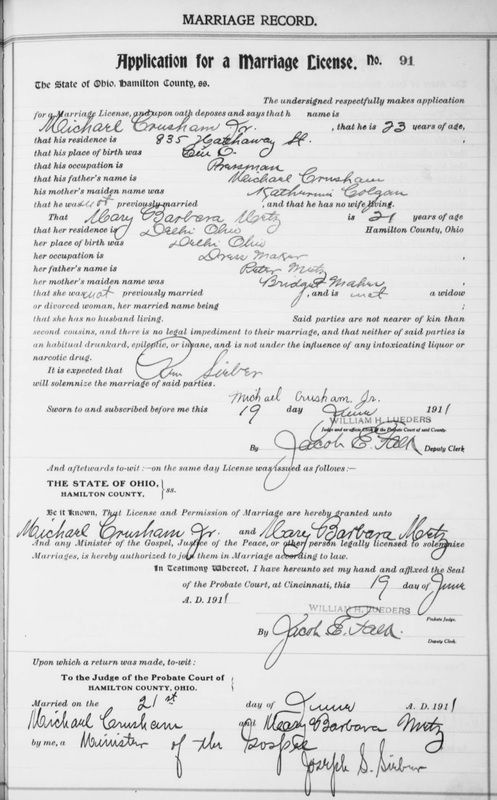 As discussed in Day 6 and Day 8, the Cincinnati wedding of Michael A. Crusham and Mary Barbara (Mayme) Metz occurred in 1911. 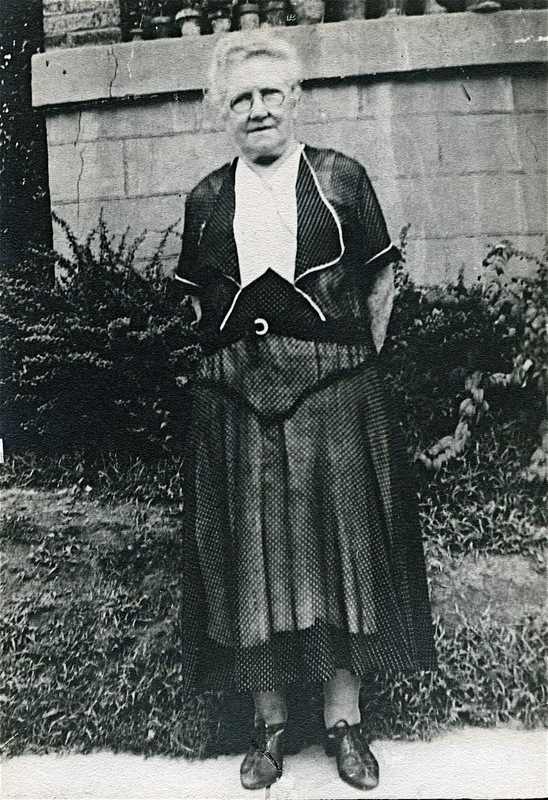 Mayme was born in Cincinnati in 1890 to Peter Metz and Bridget Maher Metz. 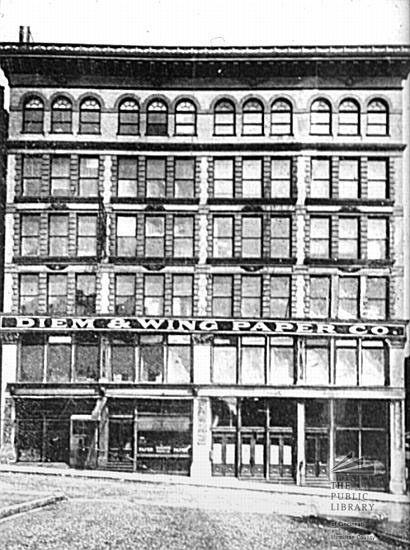 Peter and Bridget married in Cincinnati on 3 November 1887. Bridget Maher (my great-grandmother) was born in June of 1856 in Wabash, Indiana. Her parents were Patrick and Mary Maher, who were both born in Ireland but I do not know what county they came from, nor do I know Mary's maiden name. Patrick was born in 1820, and Mary in 1825. Their first three children were all born in Ireland: Patrick in 1847, Julia in 1849, and Alice in 1855. 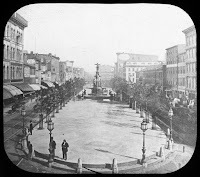 As Bridget was born in Indiana in 1856, the family obviously emigrated to the United States sometime between 1855 and 1856. Two more children were born after Bridget: Mary in 1857 and Ellen in 1859. 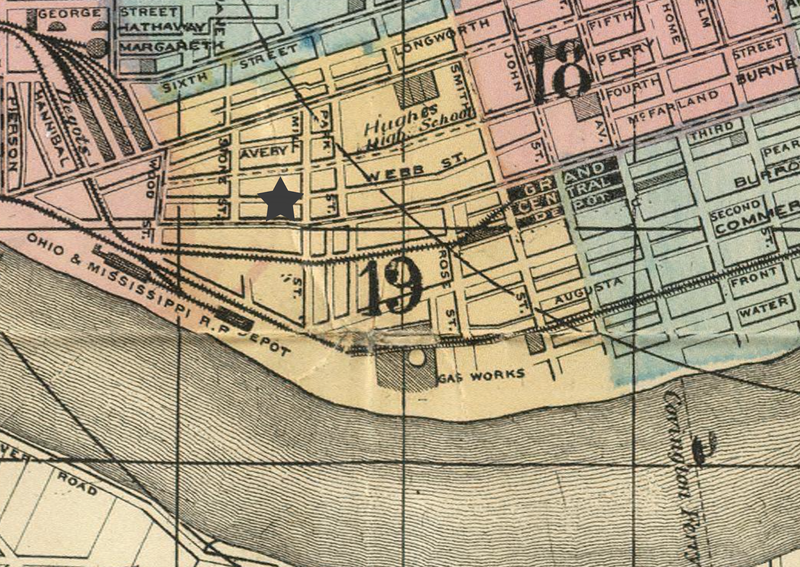 By the 1860 census the Maher family had settled in Cincinnati. Peter Metz (my great-grandfather), the youngest child of Joseph Metz and Barbara Karch Metz, was born on 30 May 1862 in Insheim, Germany. Other children in the family included Nikolaus, born 1842; Anna, born 1843; Barbara, born 1846; Elisabeth, born 1849; Magdalena, born 1852; Joseph, born 1853; Rosina, born 1856; and Johannes, born 1859. Peter's father, Joseph, died in September of 1862 of bee stings. In 1866, Barbara boarded the ship Fulton leaving Havre, Germany and bound for America with six of her children. The ship arrived in New York on 6 November 1866. 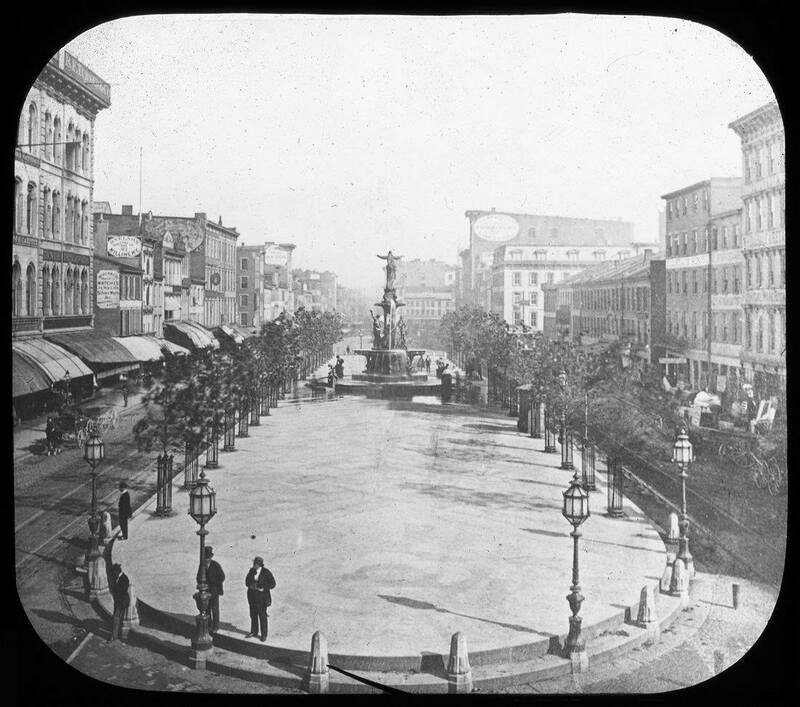 From there the family made their way to Cincinnati, where her three older children were living. Barbara died on 29 April 1893. Joseph Metz (my great-great-grandfather) was born on 11 October 1818 in Insheim to Peter Metz and Maria Buckel Metz. The Metz family tree has been documented back to my 5th great-grandfather. Barbara Karch (my great-great-grandmother) was born 29 March 1820 to Johann Karch and Maria Pfalzer Karch, also of Insheim. The Karch family tree has also been documented back to my 5th great-grandfather. There are way too many names to try to cover in this blog post. 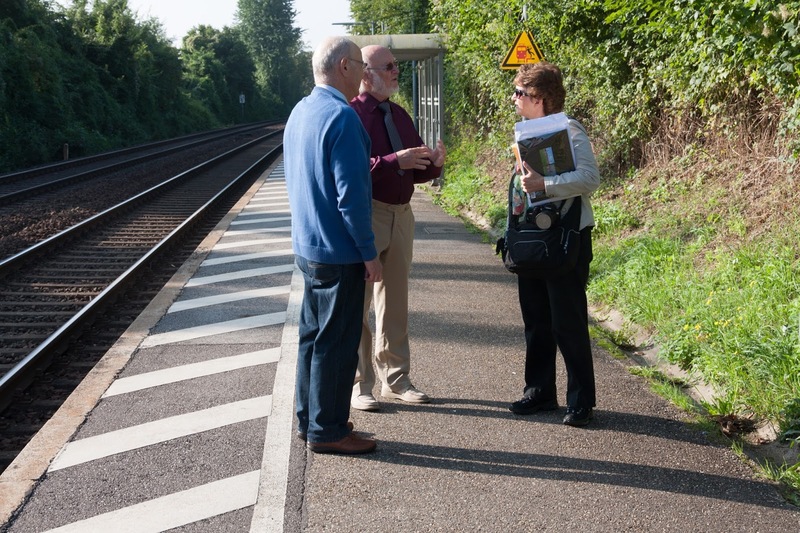 In September of 2013 I traveled to Insheim, Germany to see the town where the Metz and Karch families came from. I was met by the Mayor and several other historians who were eager to show me around. It was an incredible feeling to walk the streets that my ancestors walked. They also took me to nearby Steinweiler, where the Schwein family lived. Apollonia Schwein married Andreas Metz (Peter Metz's father) in Insheim in 1777. I was able to not only see but go inside the home that was built by my 6th great-grandfather Ulrich Schwein in 1717! 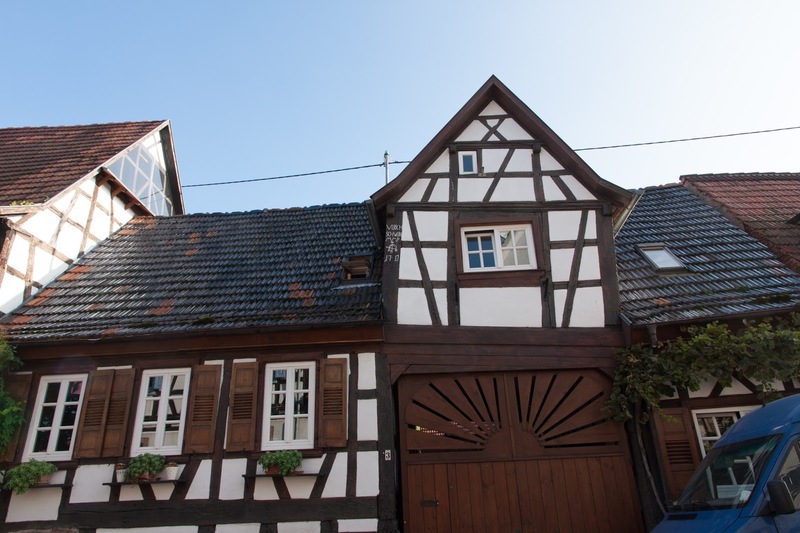 The markings on the house indicate that the home was built by Ulrich Schwein in 1717, and that he was a blacksmith. As I do house research as well as genealogy, I couldn't help but think how great it would be if in the United States each old building had the year it was built and by whom etched into it. This part of Germany is a beautiful area, and I wondered again how these ancestors had found the fortitude to say to good-bye to their family and their homeland, knowing that most likely they would never see them again. It must have been heart-breaking. Note: This will end my writing challenge as I will be unable to access the internet for the duration of the month. It has been fun to attempt to portray a little bit of the history of my Crusham family members for the past three weeks. 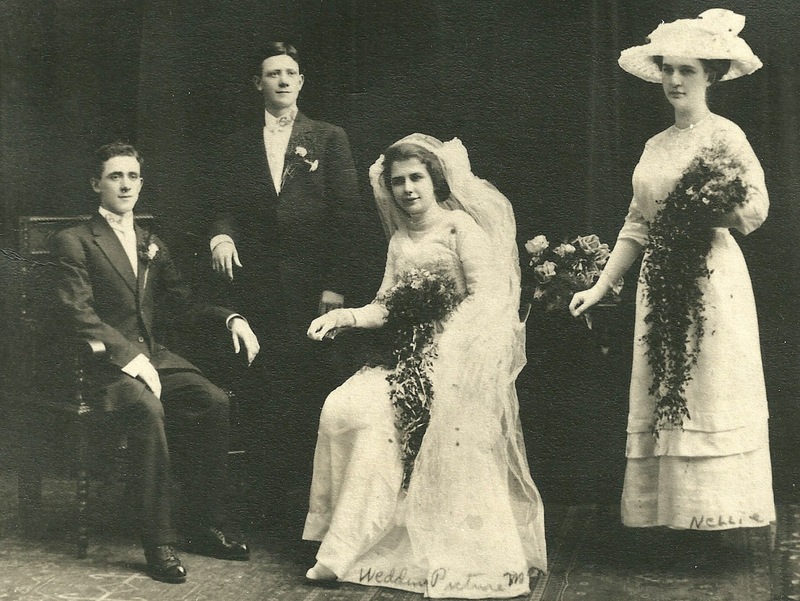 On Day 3 of the Family History Writing Challenge I wrote about Catherine Colgan, who married Michael J. Crusham in 1887. I also talked about her parents, Edward Colgan and Bridget McHugh, as well as Catherine's siblings. But I did not discuss the parents of Edward and Bridget. 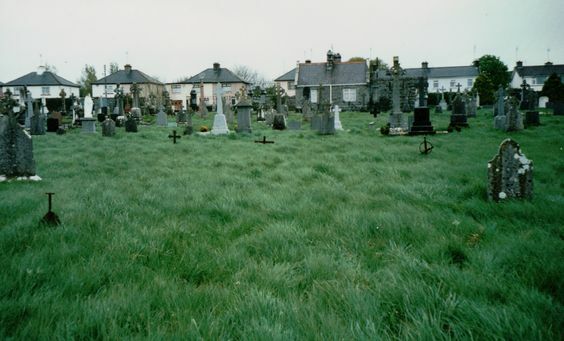 Edward Colgan, my second great-grandfather, was born 31 December 1834 in Drumadoon, a townland in County Mayo, Ireland. 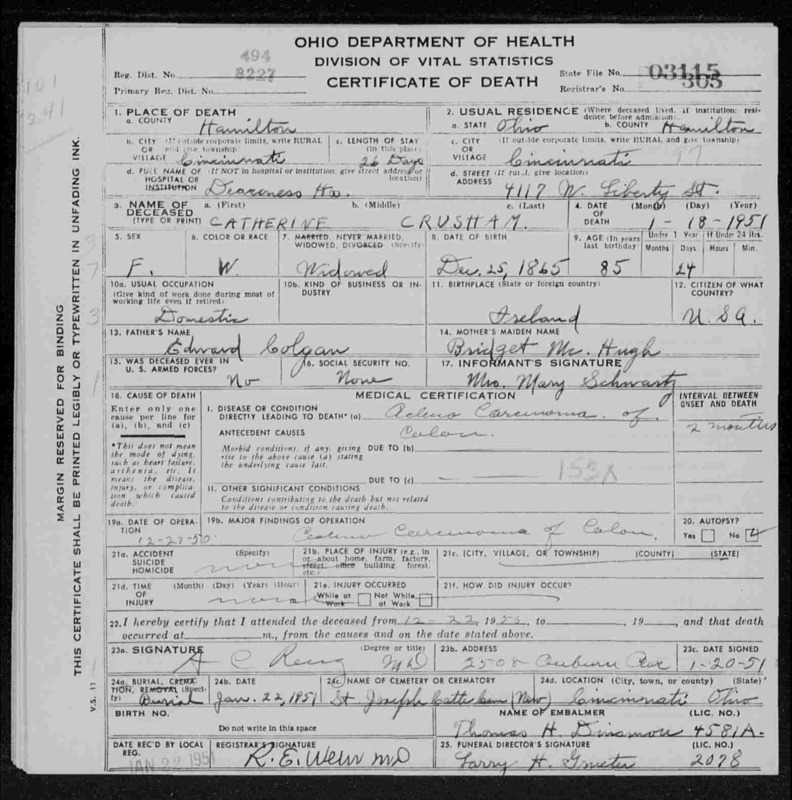 From Edward's death certificate I knew that his father was Thomas Colgan and his mother was Catherine Carroll. Thomas Colgan was born about 1796 and he died on 10 February 1866. Catherine Carroll Colgan was born about 1814, but I have been unable to locate any death information on her. She was only 52 when Thomas died, so I wonder if she stayed in Ireland or came to the United States like her son Edward and his family did in 1867. I have not found any records of her in Cincinnati, so it is possible she stayed behind. So far I have not found any birth information on siblings for Edward. It is hard to imagine that the Colgans only had one child. When we visited the Mayo history center in 1987 they were able to provide me with the location of the property where Edward was born and his dad died. Located near the village of Prison, Drumadoon is a beautiful area of Ireland. We actually were able to drive onto the property, and it is a lovely farm with rolling hills and a view of a mountain in the distance. The property at that time was owned by a man from England, who told us that he had just plowed under the remains of two houses a couple of years prior to our visit. Too bad! He certainly did not understand my enthusiasm in wanting to walk the property. For me it was a thrill to be able to gaze out on the lands that my ancestors saw every day of their lives. Right down the road from Prison is the village of Cregg where Bridget McHugh, my second great-grandmother, was born in February of 1844. Her father was Peter McHugh, born in Cregg in 1805 and died in Cregg 1 March 1875. On 26 January 1843, Peter married Catherine Long. Catherine was also born in Cregg around 1820. Bridget was their first-born, but they also had the following children: Patrick, born in 1845; Catherine, born in 1850; Winifred, born in 1852; John, born in 1853; Martin, born in 1857; Thomas and Michael, born in 1859; and Peter, born in 1865. Following her husband's death in 1875, Catherine Long McHugh emigrated to the United States. 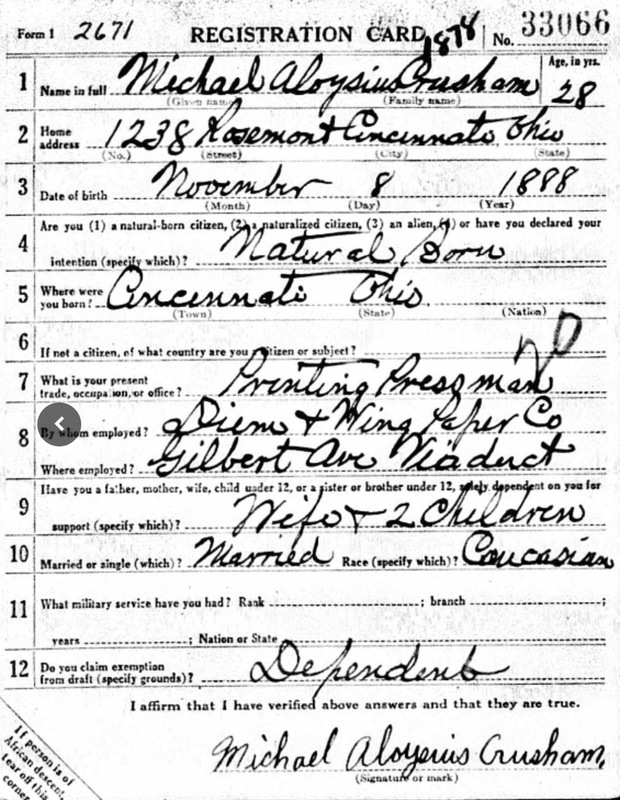 While I have not found her passenger list, she appears in the 1880 census in Cincinnati as the head of household along with her children Catherine, Martin and Michael. Interestingly, they lived at 57 Mill Street - the same building that Edward and Bridget lived in. That certainly was a popular residence for my immigrant families! 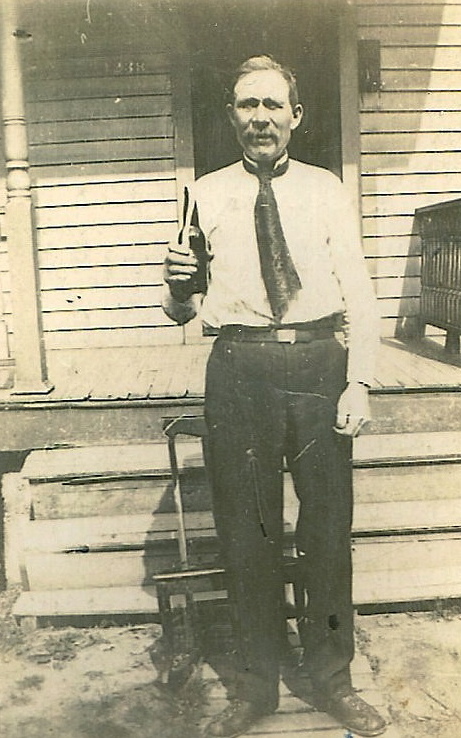 Note: This Family History Writing Challenge began with the story of Michael J. Crusham, my great-grandfather, and his emigration to the United States around 1879. It covered his marriage and his children, continuing with my grandfather, Michael A. Crusham and his family. The next logical step would be to write about his daughter Catherine, my mother. But first I want to backtrack to information that I found while on a trip to Ireland with my husband in 1987. The National Archives in Dublin had no records of the family we know by the name of Crusham. The man at the archives essentially told me to go back to the United States and start over with my information. It wasn't until I went to the history center in Galway that I achieved success in learning the real names of Michael J. Crusham's parents. This time a young woman helped me, and she took the approach of putting into the computer Michael C with the parents Michael and Mary. (I had the information that his parents were Michael Crusham and Mary Heneghan from his death record, but she left off the last names in her search since Crusham wasn't coming up.) She got a hit, and it was a big one. She found Michael Crisham born the same date as Michael J. listing the father as Michael Crisham and the mother as Mary Heneghan. Jackpot! So the name was Crisham, not Crusham but it was much closer than we thought it would be. With the new names in hand she looked for further records. As with most old records, there were variations in the spelling of the name – Clesham, Cresham, Clisham – but Crisham was by far the most common, and also the name that the computer there gave as the root of the name. We spent about an hour with the genealogist and got copies of all the people we could place with our family. From this information I learned that my great-great grandfather Michael married Mary Heneghan on 15 October 1855 in Tuam. Michael's father, my great-great-great grandfather, was named Michael as well. He was born in 1811 in Tuam, and he died on Tullindaly Road in 8 October 1883. The death was reported by his wife, Catherine Crusham, whose maiden name was Achard. Catherine was born around 1813 in Tuam, and died there on 23 January 1888. Michael and Catherine had the following children in addition to Michael: Mary born in 1827, John born in 1832, Catherine born in 1835, Honor born in 1844 and William born in 1846. After leaving the history center I wanted to see the cemetery. We found St. Joseph’s Cemetery and in the pouring rain tried to locate any Clisham or Crisham graves. We found some Crishams from the 1950’s but none older than that. We began to wonder if there was an older cemetery somewhere. Unfortunately there was no one in the caretaker’s house, so we headed back into town to find St. Joseph’s rectory, called the Presbytery in Ireland. Hmmm…sounds pretty close to Presbyterian, doesn’t it? Anyway, a lady at the Presbytery advised us that all the cemetery records were held at McGrath’s store in town because he takes care of them. Mr. McGrath was in, and he went in the back room and brought out a huge old book in which all the cemetery plots are registered. As I was studying the book with him a lady in her mid-forties came into the store. He said to her, “Margaret, you’ll not be believing what name we’re looking up.” And she asked, “Who?” “Crisham,” he replied. She looked startled. “Oh, go on with you now!” she exclaimed. He told her that I was there from the States looking for Crishams. As it turned out, her 95-year-old grandfather is a Crisham. She studied my records a bit, but none of the names looked familiar to her. She said that her grandfather was having a bad day, or she would take me to meet him. She gave me her phone number and told me to call her in a couple of days. Well, a couple of days later we were two counties away, so I couldn't call. I did, however, contact her when we got home, and mailed her our tree to review with her grandparents. 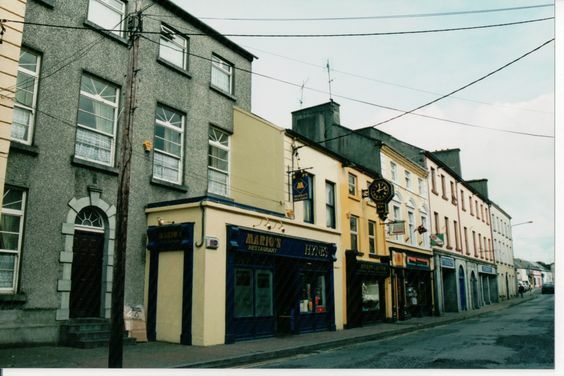 They did not recognize any names, but emphatically stated that no one in Tuam had ever gone by any of the other name variations – it was always Crisham. Mr. McGrath showed me where the cemetery plot would be located, and also described where the Crishams had lived so we could go look at that land. They are buried in Section D, Plot Line 9, Row 7. The records showed that a single grave 9’x4’ was purchased for Catherine Crisham for 1 shilling 6 pence in 1888. Back to the cemetery only to find that our Crishams had no headstone! Oh, the frustrating sides of genealogy… We also drove out to where the Crishams had lived and that area is all built up with new development, so there was nothing of interest there. 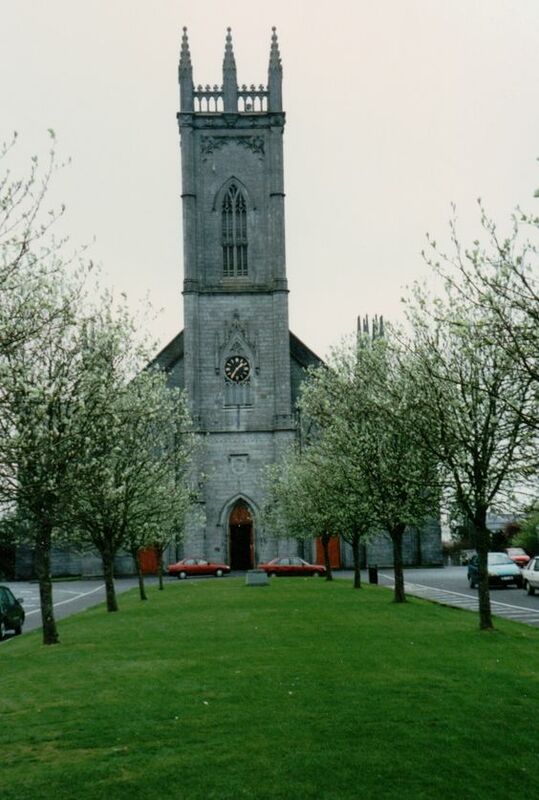 The beautiful church on the left is where the Crisham family worshiped in Tuam. As I traveled the area and enjoyed all the natural beauty, I wondered again how our ancestors could stand to leave their family, friends and this lovely county behind. The 1960s - it was the best of times, it was the worst of times. America was still riding the 1950s wave of optimism when the country elected John F. Kennedy as president. Taking office on 20 January 1961, the handsome and charismatic Kennedy was not only the first Roman Catholic to ever hold the nation's highest office, he was also the youngest ever elected at age 43. 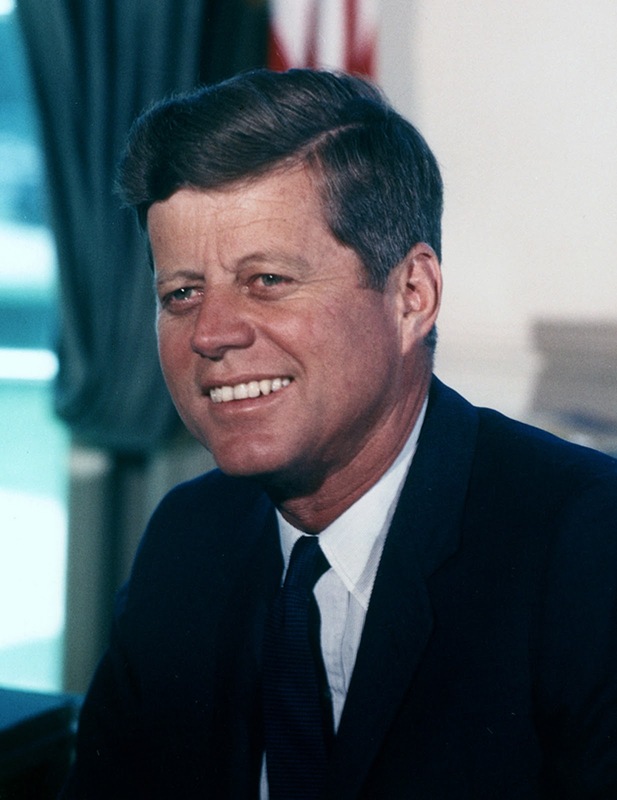 He also became the youngest president to ever die in office when he was assassinated in 1963. Soon after Lyndon Johnson moved into the president's role he enacted the draft, furthering America's role in the Vietnam War - a war which greatly divided the nation. Johnson also passed the Civil Rights Act in 1964. The first man went into space in 1961, and the Beatles first single, "Love Me Do", was released in 1962. Barbie and G.I. Joe dolls were on every kid's wish list. Protests took place throughout the United States, bringing attention to the unfair treatment of black citizens, the unjustness of the Vietnam War, and demanding full equality for women. Martin Luther King, Jr. and Robert Kennedy were both assassinated in 1968. The country was going through a lot of turmoil, but the Crusham family continued to go about their daily lives. In April of 1961 Michael's brother Charles died. Two months later, Michael and Mayme observed their 50th wedding anniversary. They had a celebration at Resurrection Church, and their children asked them to have a photo taken to commemorate the occasion. They were so disappointed when Michael and Mayme went to a photo booth instead of a professional photographer! Just five months later, Michael died on 29 November 1961 at the age of 74. It must have been of some comfort to the family to have been able to celebrate the special anniversary of this couple, and have these photos from the last time most of them were together. Michael's untimely death meant that he missed the birth of additional grandchildren who were born in the 1960s. 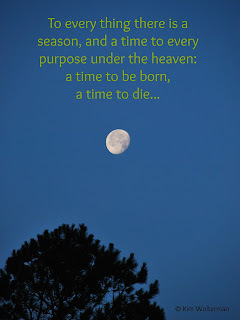 The births in this decade were: Dorothy Crusham and Kathleen Heinzelman, 1960; Patrick Rizzo and Lori Crusham, 1961; Kathryn Crusham and Daniel Crusham, 1962; Brian Crusham and Susan Heinzelman, 1963; and the final grandchild, Mark Crusham, born in 1967. 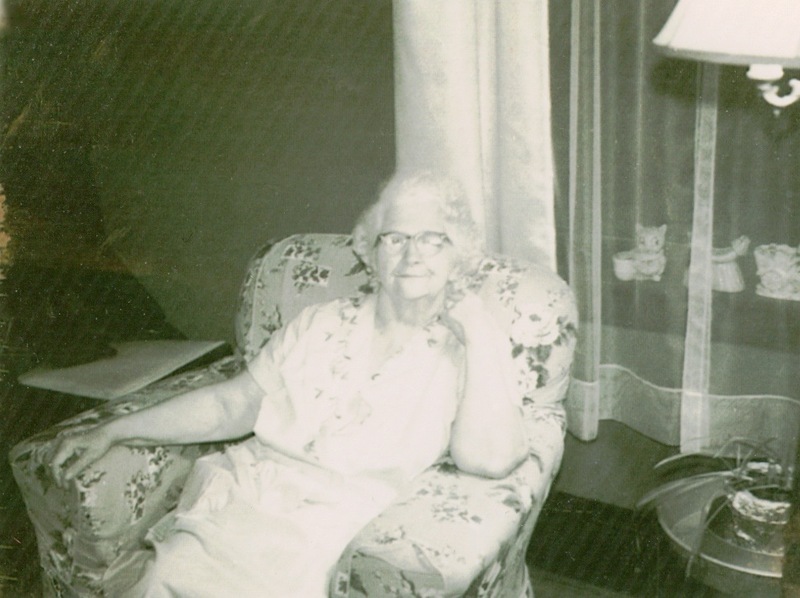 Mayme lived the remainder of her life with daughter Marie on Rosemont Avenue. She still enjoyed cooking, and having her family come to visit. She died at home on 13 March 1969. She was 80 years old. 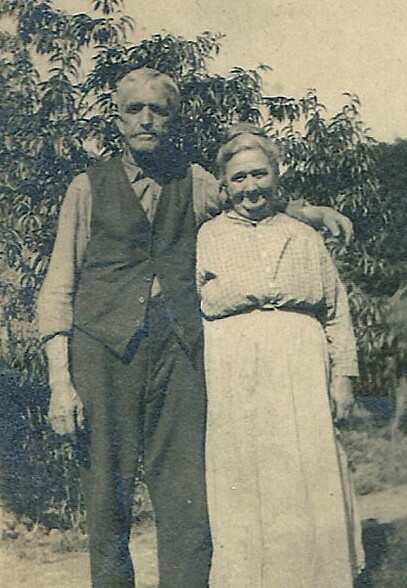 Through their 8 children, Michael and Mayme were blessed with 37 grandchildren, 35 of whom lived to adulthood. They lived their lives celebrating their church, family and nation. I imagine that they were both welcomed into heaven with a hearty, "Well done, good and faithful servant." The word "boom" was used to describe a lot of things in the United States in the 1950s - economic boom, construction boom, baby boom. There was a marked economic growth in the country in the post-WWII era, despite the 1950-1953 Korean War. A large-scale expansion of the middle class resulted in these families having more babies and wanting larger homes in the suburbs. Unions were strong, representing almost half of the U.S. workforce. The Civil rights movement began in earnest with the Supreme Court ruling of Brown vs. the Board of Education in 1954. 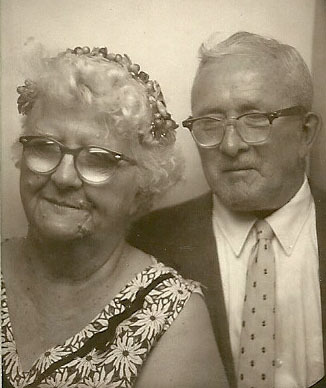 The 1950s did not begin so well for Michael & Mayme Crusham, however. 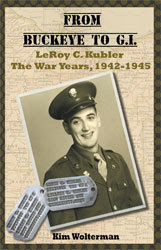 Their grandson, LeRoy Kubler, died on 31 January 1950 of aplastic anemia. He was only 7 years old. Then on 18 January 1951 Michael's mother, Catherine Colgan Crusham, died of colon cancer at the age of 86. At the time of her death she was still living at 4117 W. Liberty St., the home she had shared with her husband Michael until his death in 1937. The photo on the left shows her with son Michael and daughter Mary in the 1940s. Other losses included the death of Michael's sister Clara on 11 November 1957 and his brother John on 9 February 1958. But there were also many happy occasions in the family that helped offset the sad times. A number of weddings took place in the 1950s. Elizabeth married Jack Heinzelman on 16 June 1951. Charles married Dorothy Gronefeld on 20 May 1952. 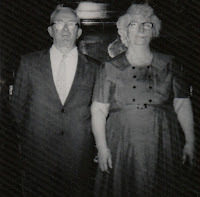 James married Ruth Auberger on 3 July 1954, and his twin Michael married Rita Murphy on 8 June 1957. At the ages of 70 and 67, respectively, Michael and Mayme were nearly empty-nesters! The only child still living at home was Marie, who never married. She was employed by a department store nearly all her working career, and cared for both of her parents until their deaths. The grandchildren tally continued to grow in the 1950s as well. Additions to the family included: Michael Crusham, Beth Heinzelman, and Judy & Janice Wambaugh, 1952; John Rizzo and Lynn Heinzelman, 1953; Joseph Kubler, 1954; Jean Heinzelman, Deborah Crusham, Charles Crusham, and Kimberly Kubler, 1955; Mary Ann Rizzo, Patricia Heinzelman, and James Crusham, 1956; Timothy Crusham and Diane Crusham, 1957; Gregory Crusham, Carol Heinzelman, and Jeffrey Crusham, 1958; and Thomas Crusham, 1959, the last Crusham grandchild to be born in the 1950s. 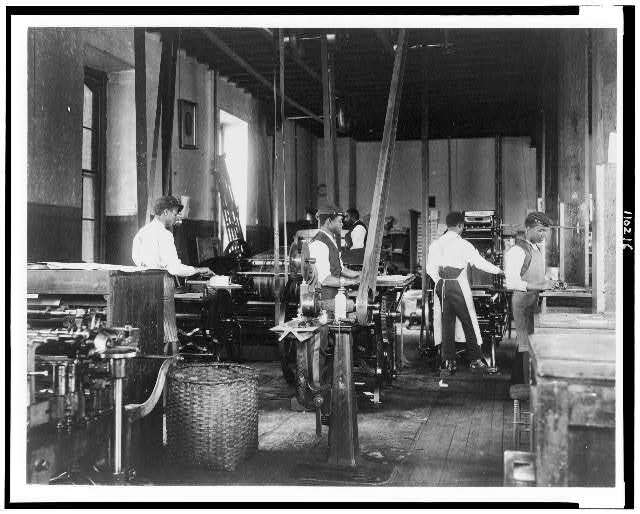 Throughout his working life, Michael had been employed in the printing industry, most often as a pressman. The Cincinnati Directories show him in that capacity up through the 1953 directory. Sometime after that he left the printing company, because the 1958 Cincinnati Directory lists Michael as a carrier for the post office. What would make him change careers in his late 60s? The 1940 Federal Census was taken on 6 April 1940. Michael was 52 and working as a printer at a label company. Mayme was 50 and Marie, age 28, was employed as a sales lady in a department store. Catherine, at 19, was listed as a "sewer" for a sporting goods company. For the first time the census asked about incomes. Michael worked 40 weeks in 1939, for a total yearly income of $900. Marie worked 52 weeks and earned $720, and Catherine made $520 for the 26 weeks she worked in 1939. To put those numbers in perspective, the median annual wage for a man in 1940 was $956, and for a woman it was $592. The cost of a new car was $1,611, a gallon of gas was $.18, and a loaf of bread was $.08. As mentioned earlier, Stella was married and in 1940 was living with her spouse and their newborn son Lawrence. 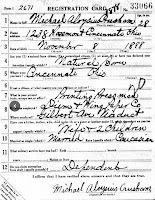 The other five Crusham children listed on the census record were all in school. Rather telling on the census was the fact that the Crusham's house, which had been valued at $4,000 on the 1930 census, was now listed at $3,500. Undoubtably the depression played a part in the decline of housing values. While the country was slowly recovering from the Great Depression by the end of the 1930s, trouble on a more global scale was escalating. Japan had invaded China, and Germany invaded Poland, which resulted in England and France declaring war on Germany in September of 1939. In the United States, Congress passed legislation enacting the first peace-time draft in the history of the country. The Selective Training & Service Act of 1940 initially required all men between the ages of 21 and 45 to register for the draft. Later the minimum age was lowered to 18. America entered WWII following the Japanese bombing of Pearl Harbor on 7 December 1941. By April of 1942 the Fourth Registration, or Old Man's Registration, was held. Men born between 27 April 1877 and 16 February 1897 (ages 45-64) had to complete a registration card. The purpose was not to be used for military service per se, but rather to provide a complete inventory of manpower resources that could be utilized for national service during WWII. Michael completed his registration on 26 April 1942. On the card, he stated that he was employed by Kreger Printing & Stationery Co., and that he was 5'3" tall and weighed 136 lbs. That is quite different than his claim to be of "medium height" on the WWI registration card. 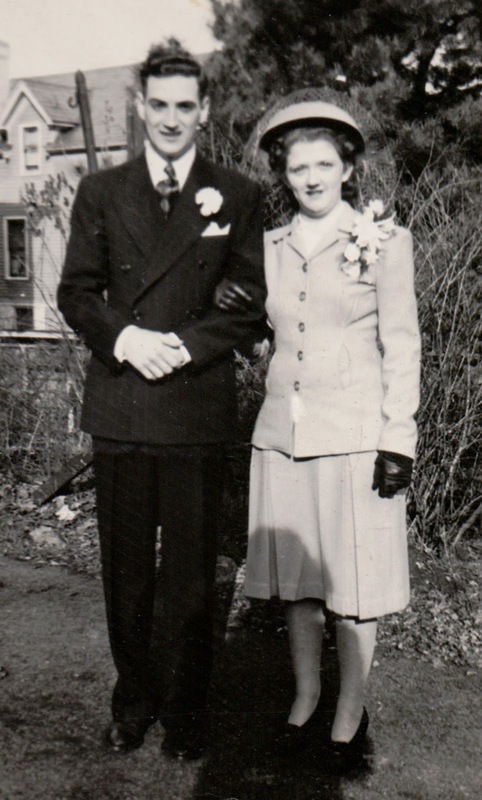 Daughter Catherine married LeRoy (Roy) Kubler on 17 January 1942 at Resurrection Church. Standing up for the couple was Catherine's sister Margaret, and her brother-in-law Bud Wambaugh. Roy had enlisted with the Army Air Corp, and it wasn't long before he was sent to Jefferson Barracks in St. Louis to begin his training. Catherine lived with her mother and father-in-law until after the birth of a son, also named LeRoy, later that year. While she moved to St. Louis to be with her husband after little Roy was born, she came back to Cincinnati in 1944 prior to the birth of daughter Kathleen. Roy was being shipped out to the China-Burma-India Theater, and she wanted to be near her family after he left. 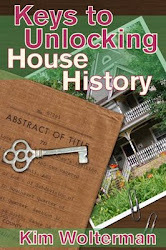 She and the children lived with Mike and Mayme for awhile before she bought the Koch's house next door to them at 1240 Rosemont Avenue. On 26 June 1943 Margaret married Charles Rizzo. 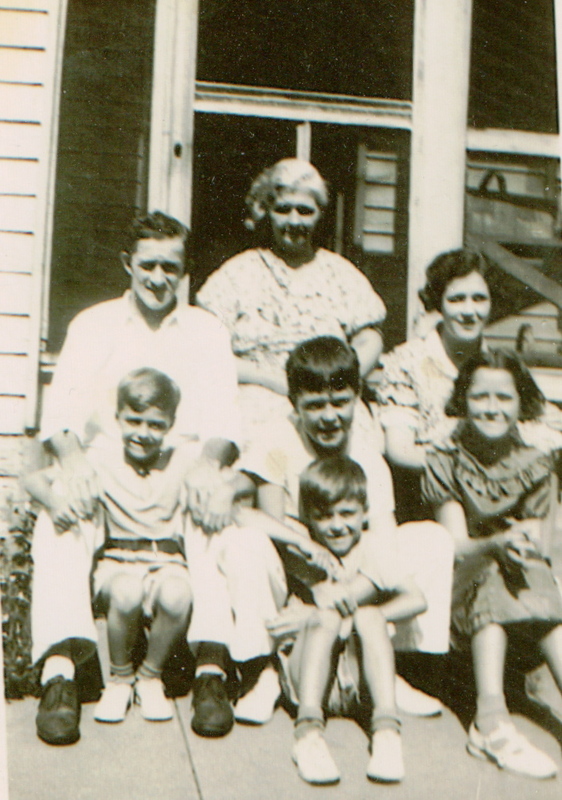 In addition to gaining two son-in-laws, Mike and Mayme's family continued to grow throughout the 1940s with the addition of the following grandchildren (who joined Lawrence Wambaugh and LeRoy Kubler): Carol Ann Wambaugh, 1943; Kathleen Kubler and Charles Rizzo, 1944; Eugene Wambaugh, 1945; Kenneth Kubler, 1946; and Thomas Rizzo, 1947. WWII ended in May of 1945, and the soldiers in the family made it safely back to Cincinnati to rejoin their families. And in a couple of cases to get acquainted with those who had been born while they were away. Following the war the Crusham family, as well as the entire nation, needed to find their new normal. The 1930s were marked by the Great Depression, an event that was felt world-wide. It originated in the United States following a fall in stock prices in September of 1929 that sent Wall Street into a panic and wiped out millions of investors. Consumer spending and investments dropped, leading to a record unemployment high. Despite the relief and reform efforts of President Roosevelt, the effects of the depression lasted until 1939 when WWII rejuvenated the American economy. Cincinnati felt the impact of the Great Depression just like the rest of the country. According to the 1930 census, Michael Crusham was 42 years of age and employed as a printer in a print shop. 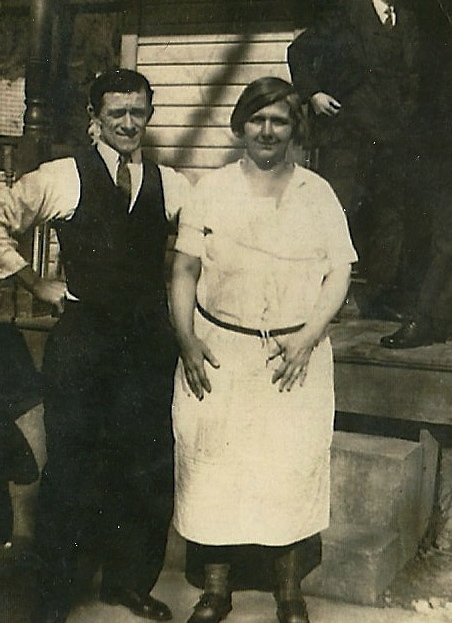 Daughter Marie, at 18 years, worked as a clerk in a dry goods store. 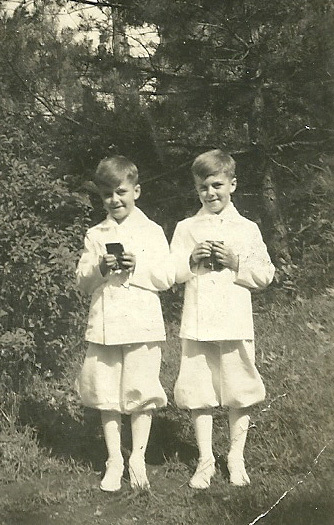 Because the census was taken in April of 1930, only six children were listed as the twins were not born until June. The Crusham house is valued at $4,000. For the first time, the census asked whether or not the household owned a radio. The government was attempting to see how well this new technology was being embraced. While the answers revealed that 12 million people had access to a radio, the Crusham family was not among them. While Michael maintained his job in the printing industry during the depression, one can only imagine how stressful it must have been for him and Mayme, especially after the twins were born in June of 1930. There were ten people to be fed, clothed, educated, and otherwise taken care of, and only Michael and Marie were bringing income into the household. Eventually Catherine dropped out of Seton High School after her junior year in order to help the family. She went to work stitching basketballs at a sporting goods factory. Stella was the first child to leave the family when she married Lawrence (Bud) Wambaugh on 6 May 1937. Bud was a metalworker residing at 912 Hawthorne Avenue with his family. 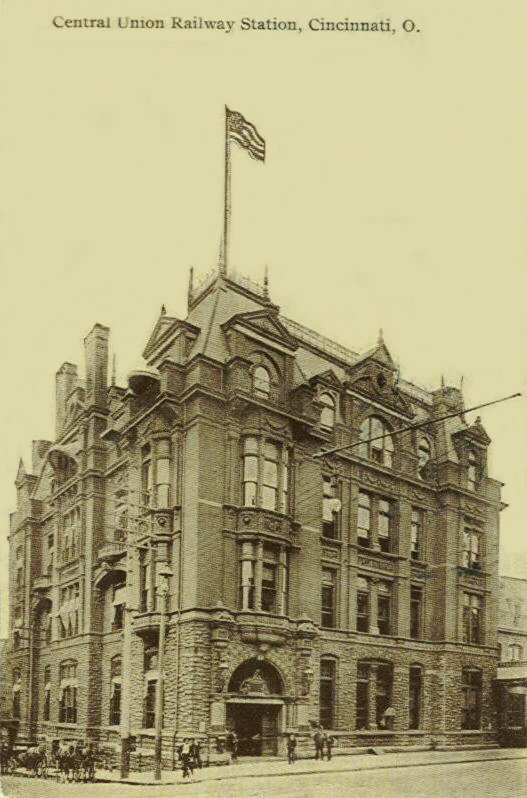 Following their marriage, he and Stella purchased the home across the street at 911 Hawthorne Avenue, where they spent their entire married life. They welcomed their first child, and the first grandchild of Michael and Mayme, on 15 October 1938. 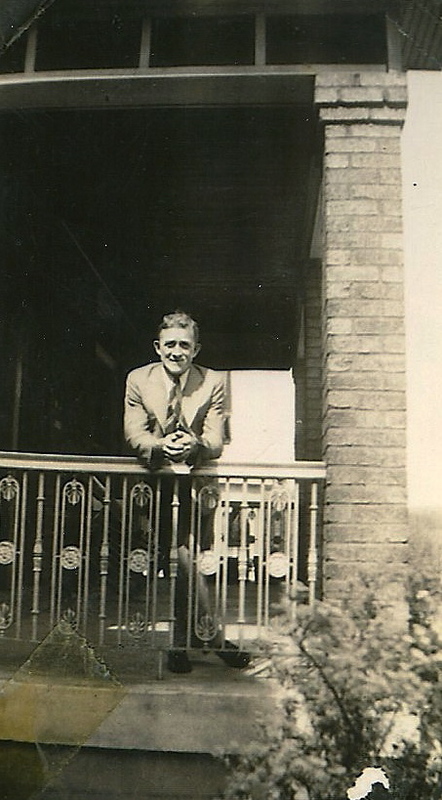 Unfortunately their son, Joseph, only lived for 5 days, passing on 20 October 1938. 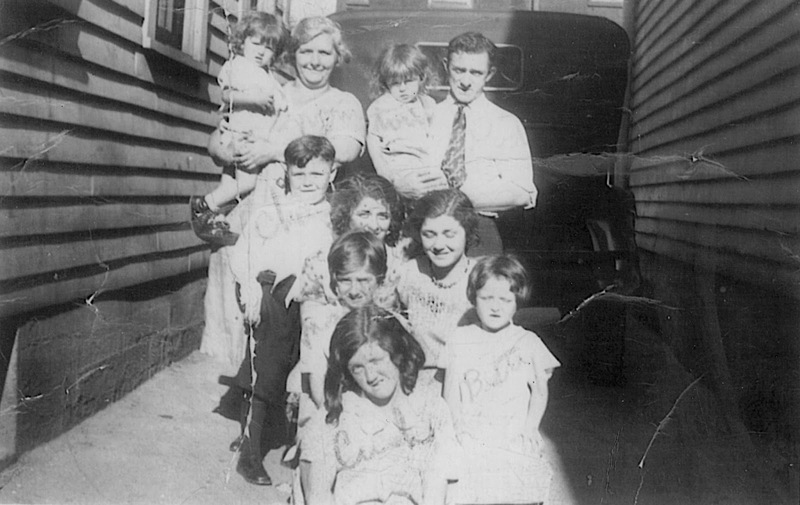 The 1930s were filled with highs and lows for the Crusham family, with the birth of their twins in 1930, the marriage of their daughter in 1937 followed shortly by the death of Michael's father in July of that same year, and finally the birth and death of their grandson. 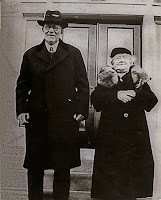 Note: A previous post stated that Michael Crusham and Mayme Metz were married at Resurrection Church in 1911. This is incorrect as Resurrection did not celebrate its first Mass until 1920. Their marriage application indicates that they were married by a priest, but his signature is illegible. Mayme's family lived in Delhi and as there are numerous Catholic churches located in that area, there are several possibilities for where the ceremony took place. The end of WWI came when the Treaty of Versailles was signed on 28 June 1919. The country as a whole entered into an era of economic growth and prosperity driven by recovery from the war effort and postponed spending. Mass production made technology affordable to the middle class. The automobile, movie and radio industries experienced significant growth in the 1920s. The 19th Amendment was passed in 1920, giving women the right to vote. It was also the first year of Prohibition in the United States, making it illegal to sell, produce, import or transport alcoholic beverages. And for the first time, more Americans were living in towns of 2,500 or greater than were living in rural areas. Cincinnati followed this trend with a population increase of around 20% from 1920 to 1930. The Crusham family was increasing its population as well. 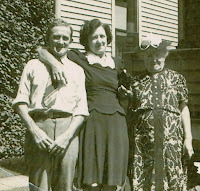 Margaret was born in 1922; Charles in 1925; Elizabeth in 1927; and twins James and Michael in 1930. All the children were born at home, except perhaps the twins. The older children do not remember their mom giving birth to the boys at the house. Eight children and two adults shared the small, three bedroom house. The family worshipped at Resurrection Church, where Michael was an usher and collected the offerings. The children all attended the church school as well. They would walk from their house, a distance of about .6 miles. Michael continued to work as a pressman for a paper company. Besides being active in their church, he and Mayme were also volunteers for the Democratic Party in Price Hill, and enjoyed their relatives, friends, and the tight-knit community in which they lived. The 1920s were very good to the country and to the Crusham family. On 6 April 1917, the United States declared war on the German Empire. Up until this point, the country maintained only a small army. That all changed with the implementation of the Selective Services Act. Enacted in 1917, it drafted 2.8 million men into military service. All males aged 21-30 were required to register for military service. 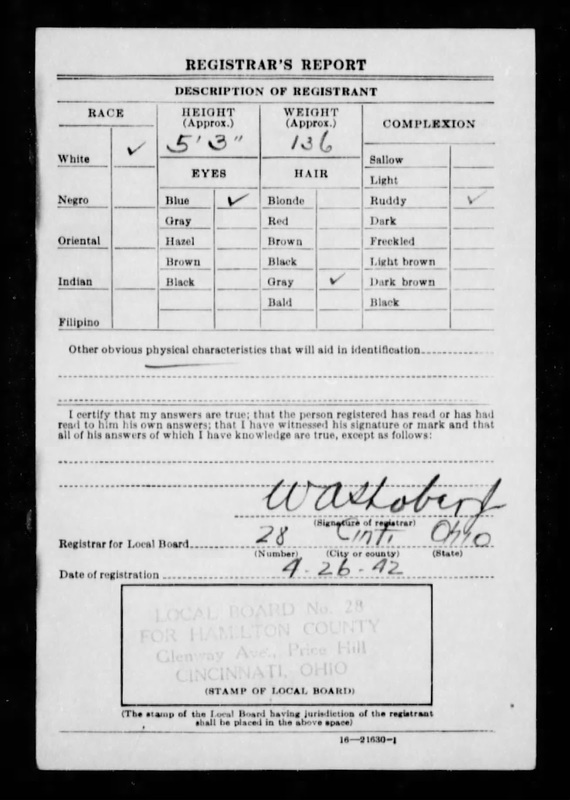 In 1917 and 1918, approximately 24 million men living in the United States completed a Draft Registration Card. Michael Crusham was no exception, registering at Local Board No. 9, 8th & Elberon on 5 June 1917. He described himself as being of medium height with blue eyes and black hair. As the sole provider for a wife and two minor children, he claimed and was granted an exemption from military service. 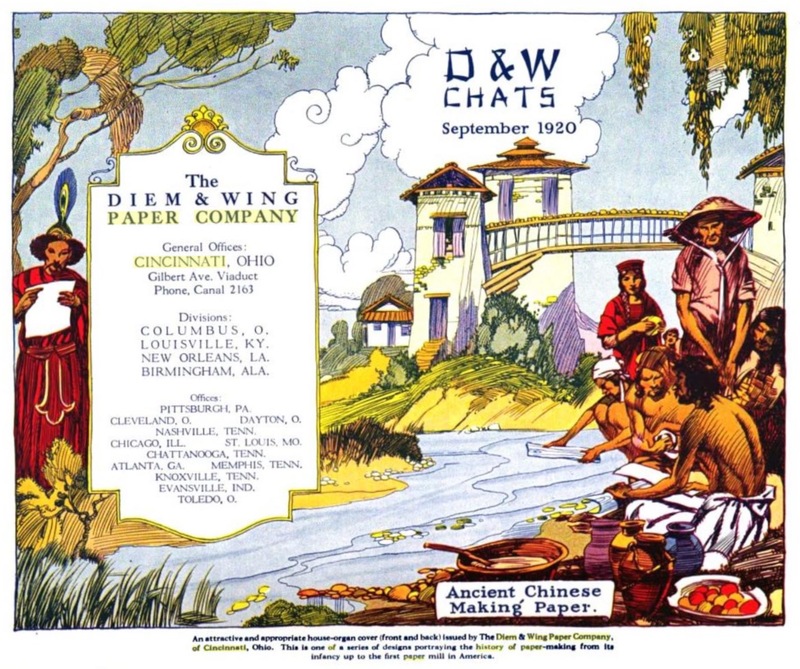 On the registration card, Michael indicated that he was working as a printing pressman for Diem & Wing Paper Co. on Gilbert Avenue. Diem & Wing Paper Co.
Later that year, this notice appeared in the 22 October 1917 issue of the Cincinnati Enquirer newspaper. Even more perplexing is the fact that it also ran in the 5 November 1917 New Castle Herald paper in Pennsylvania. It could possibly be a political reference as both Michael and Mayme were active in the Democratic party, not as candidates but as campaign workers. Perhaps this is how Michael first became involved in politics? Another alternative is that it could be union-related, as there were several organizations that covered those working in the printing industry. The newspaper article below gives some insight into his political activities. He is listed as a Vice Chairmen at an event being held for Alvin V. Donahey in his successful run for governor of Ohio in 1922. Meanwhile, back at the home on Rosemont Avenue Stella and Marie were about to have a Happy New Year in 1920 as they became big sisters. It had been nearly four years since the stillbirth of their sister, and it can be assumed that during those intervening years, Mayme had one or more pregnancies that did not have happy endings. 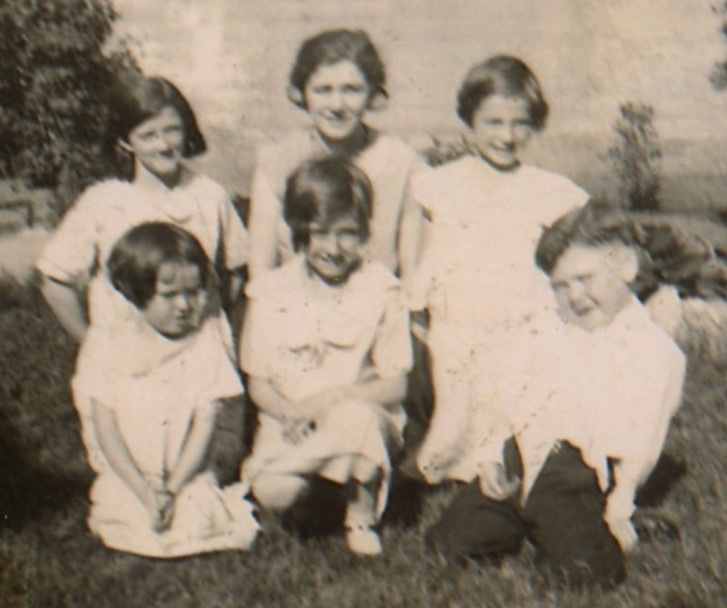 But on 17 January 1920 Catherine was born at the house, joining 7 year old Marie and 5 year old Stella. 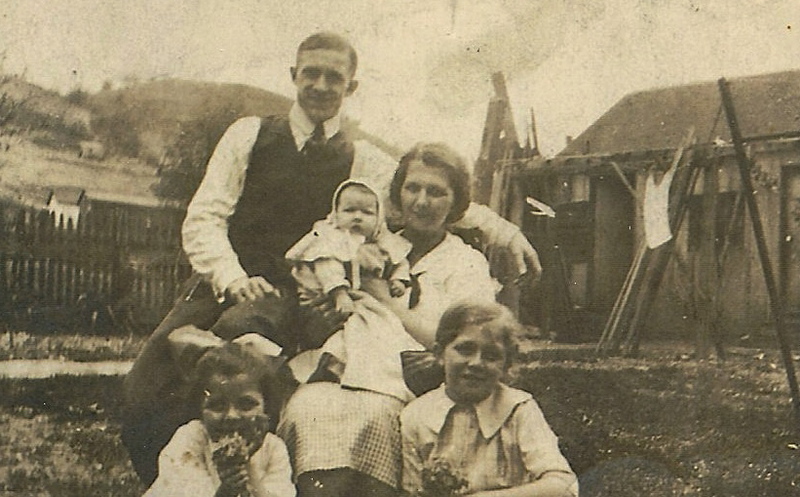 In the photo above is Michael, Mayme (holding Catherine), Stella and Marie. 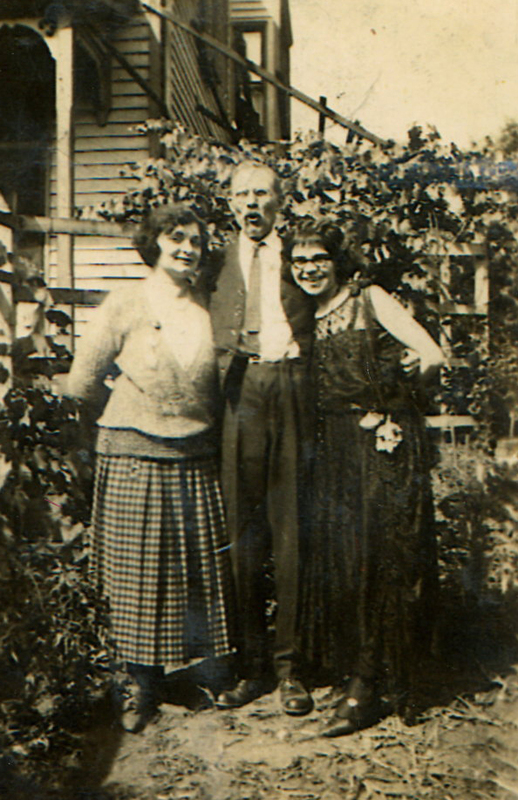 Things were looking up for both the United States and the Crusham family in 1920. Michael and Mayme's first child Marie was born on 28 March 1912. A son, Edward, followed on 22 September 1913. Sadly he only lived one month, passing on 21 October 1913. It is interesting that Michael broke tradition by not giving the name Michael to his first-born son. 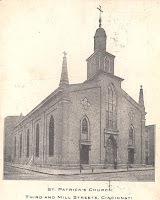 By 1914 the small family had moved to 915 Armory Avenue in the West End of Cincinnati. Perhaps the move was done in preparation for the arrival of another daughter, Stella, who was born on 18 October 1914. Armory Avenue was renamed Derrick Turnbow Avenue in 1991. The old buildings are no longer standing. 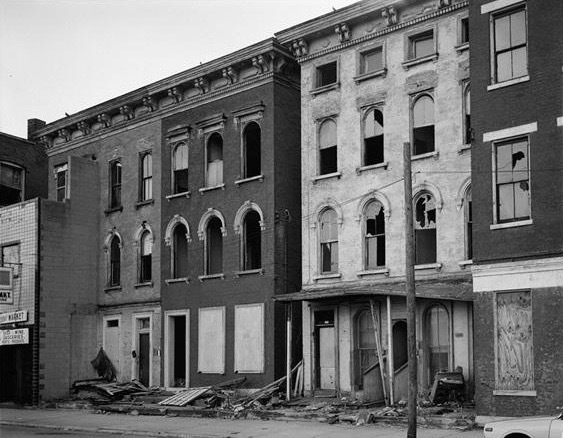 However, below is a picture of the 400 block of Armory for illustration of what the buildings on the street might have looked like when the Crushams lived there, minus the decay of course. Michael was doing well with his job as a pressman, and on 26 April 1915 he and his wife purchased property from Emanuel Iseman. The home was located in Price Hill, at the time a popular and distinctive suburb for those wishing to escape the pork production and industrial areas of downtown Cincinnati. 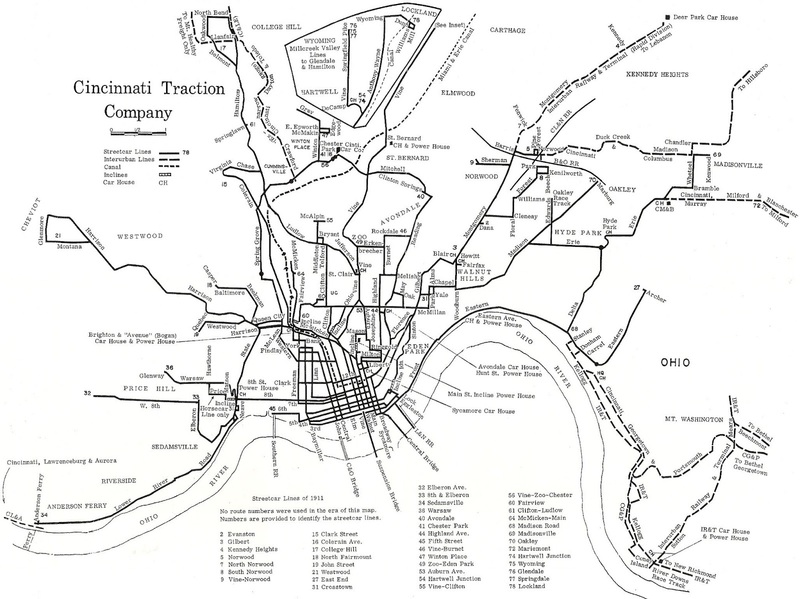 The rapid transit system was extended into Price Hill in 1894, contributing to its growth. Iseman owned Lots 487 and 488 of the Cedar Grove Land & Building Association's Subdivision No. 1, as recorded in Plat Book No. 4, page 220. He sold the Crushams Lot No. 488, with said lot being designated as 1238 Rosemont Avenue. Iseman's property was 1236 Rosemont. The house at 1238 Rosemont was built in 1910, and was constructed in what is referred to as "shot-gun" style. You entered into the living room, and had to pass through the dining room to get to the kitchen. There was a very narrow, curved stairway off the kitchen that led to the second floor where you had the same three room layout, passing through the middle bedroom to get to the front bedroom. Michael and Mayme had the back bedroom over the kitchen, but none of the upstairs rooms had doors on them. There was running water in the house, but the outhouse was in the backyard, where the family also kept chickens. At some point the family put a toilet and a shower in the basement. What should have been a happy time in the family was no doubt marred by sadness in the summer of 1916. On 10 August 1916, a female infant was stillborn. The official cause of death was listed as ruptured hydrocephalus, which is caused when there is an excessive accumulation of fluid on the brain. Michael and Mayme had already endured the death of two babies in the first five years of marriage. What was next for this young couple? Note: The Crusham family story continues at this point with Michael and Catherine's son, Michael Aloysius, who was my grandfather. Michael A. was the eldest child of Michael and Catherine, and the fourth generation to carry the name Michael. He attended St. Patrick's School, where he learned to read and write. There he was educated through the 8th grade. 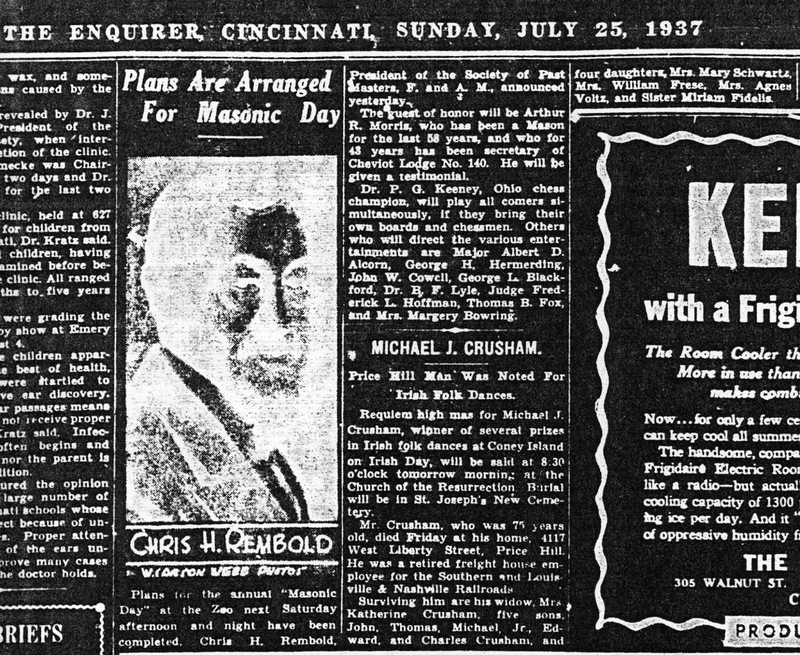 The first time that he appears in a Cincinnati Directory is 1906, when he was 19 years of age. At that time he was still living at home along with his parents and seven of his siblings, one of whom was an infant. His youngest sister Dorothy would not be born for two more years. The directory listed Michael as being employed as a pressman. 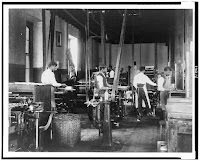 The duties of a pressman were to adjust the forms on the press, feed the paper, supply the ink, and regulate the press. Michael met his future bride Mary Barbara (Mayme) Metz in a manner that tied back into how his parents met. Mayme's good friend was named Rose Kenney, and she would often spend the night at Rose's house. Where did Rose live? In the same building on Mill Street where Michael lived with his parents and siblings. It would seem the structure was something of a match-maker! 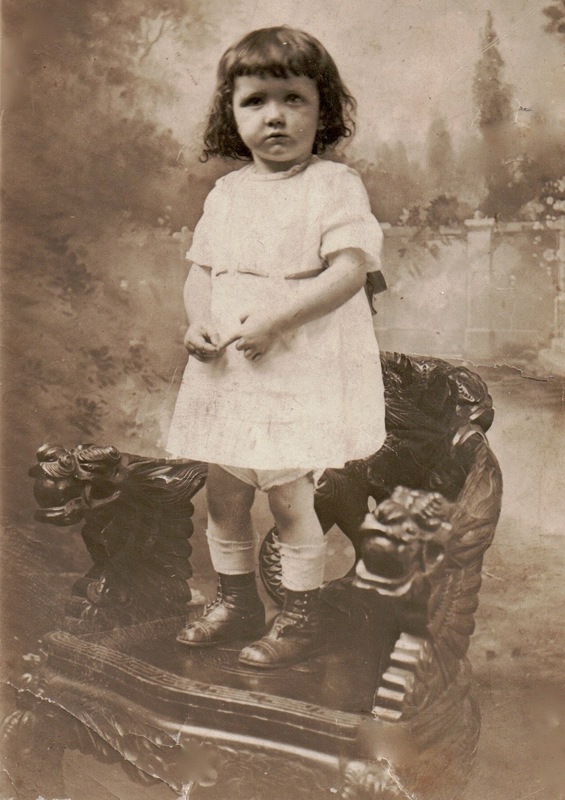 Mayme was born in Cincinnati on 5 February 1890 to Peter Metz and Bridget Maher Metz. She was the second oldest of five children: Helen, born in 1888; Alice, born in 1892; Stella, born in 1893; and Walter, born in 1895. Peter Metz was born in Insheim, Germany in 1862, but emigrated to the United States with his mother and a few siblings in 1865 after his father died of a bee sting. Bridget was born in Wabash, Indiana in 1856. The Metz family lived on Shady Avenue in Delhi at the time Mayme met Michael. She was working in a dressmaking shop. They married at Resurrection Church on 21 June 1911. Michael was 23 and Mayme was 21. The young couple first lived at 314 Stone, and Michael continued his work as a pressman. This is the residence where their first two children were born. Was life good to the newlyweds? 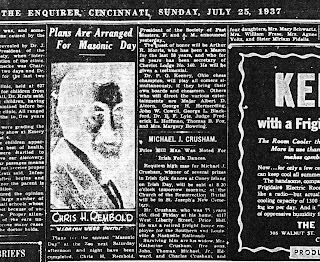 The year 1937 was an important one in Cincinnati history. Heavy rains in January and February led to extensive flooding along the Ohio Rive and many tributaries. January was the wettest month in Ohio since 1866 with a state average of 9.57 inches of rain. The highest rainfall was 14.88 inches in an area just west of Cincinnati. The Ohio River at Cincinnati stayed above flood stage from 18 January until 5 February, cresting on 26 January at 79.99 feet. Schools, stores, theaters, and factories closed. Authorities rationed electricity and suspended streetcar service. The water supply was shut off except for four hours daily. 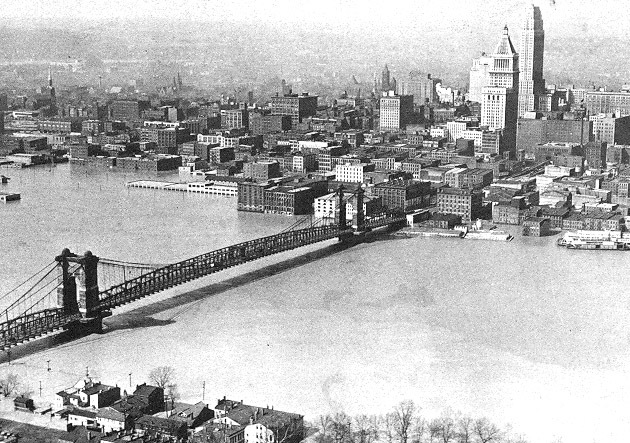 One-fifth of the City of Cincinnati was under water, making it likely that the old living quarters of the Crusham family were impacted by flood water. They must have been very relieved that they had moved west of town back in 1913. It is hard to imagine what the residents of the city were facing, coupled with the fact that the country was in the depth of a depression as well. 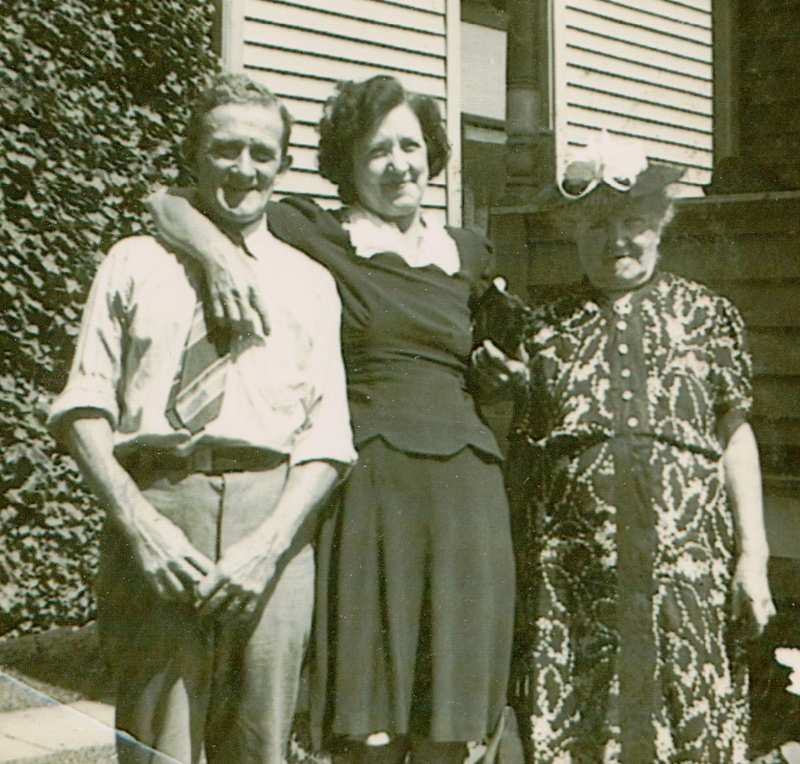 After Michael died in July of 1937, Catherine continued to live in the home home that they owned on West Liberty. The 1930 census lists their daughter Mary and her husband Lawrence Schwartz also residing in the home, along with their three children: Mary, Catherine, and Lawrence. It must have been comforting for Catherine to have her daughter and family there when her husband passed on. The grandchildren slept up in the attic, where they had skylights above their beds. By the 1940 census, only Mary and her three children were living with Catherine Crusham. The two granddaughters recall their grandmother as a kind woman who always had a book in her hand except when she was doing chores. They especially enjoyed her homemade raisin bread. Another favorite memory was their grandmother's waist-length hair, which she kept wrapped in a bun. 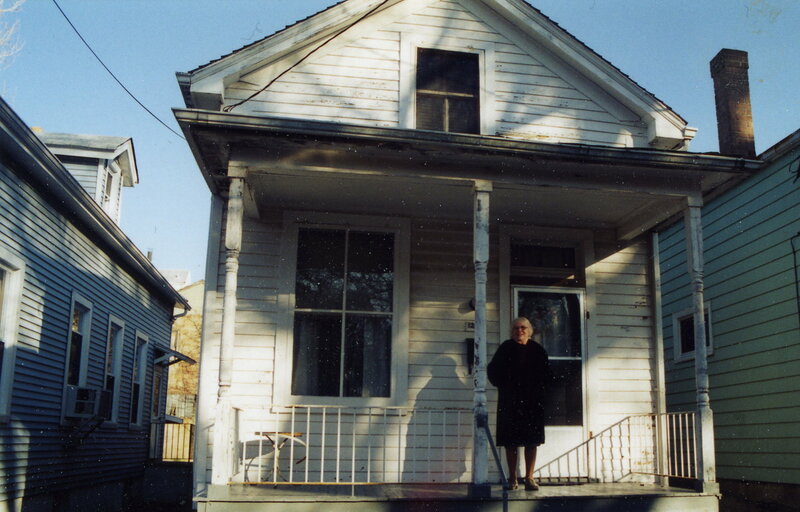 Catherine remained in her home on West Liberty until her death. She was 86 when colon cancer claimed her life on 18 January 1951. After fourteen years apart, she and Michael were finally reunited. From their humble beginnings in Ireland, to making the sacrifice of leaving family and friends behind to search for a better life in a new country, Michael and Catherine fulfilled many of their dreams. Michael had a long-time career with the railroad, which enabled him to buy property. That is something he probably would not have been able to do in Ireland. Their nine children were all educated at St. Patrick's Catholic School, located at 3rd and Mill Streets, which would have been very near their home when they lived downtown. For Michael in particular, this must have made him very proud as he could neither read nor write when he arrived in America. And ultimately through the unions of eight of their children, thirty-two grandchildren were born. That is quite a legacy to leave behind. By 1913 when the Crusham family moved to the west side of Cincinnati, they no longer had any immediate family living in the downtown area. Although Michael was still working for the railroad, the expansion of the electric streetcar system made it possible to get to his job from a more suburban area. 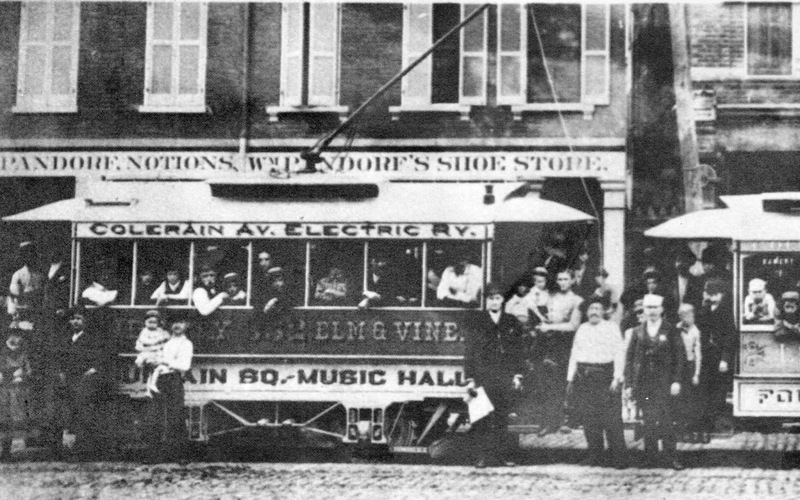 Cincinnati had horse-drawn streetcars as early as 1859, but the electric cars did not come into play until 1889. These streetcars probably played a factor in Michael's decision to make this kind of move. 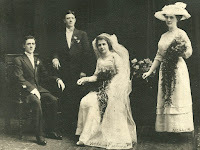 Michael and Catherine's oldest son, Michael Aloysius, married Barbara Metz in 1911. Michael A. was a pressman, and he and Barbara set up their own household in Cincinnati. The second oldest child, Edward, married Ida Coyne in 1915. Edward was a salesman, and he and his wife lived in their own home as well. 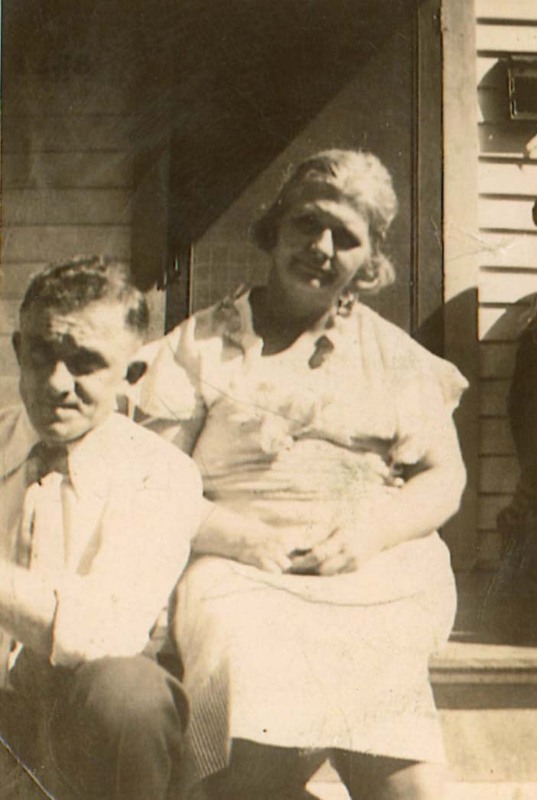 The 1920 census indicates that Michael is 68 years of age, and seven of their nine children are still living with them at the home on West Liberty. By 1930 only the three youngest, Thomas, John and Dorothy, are still living with Michael and Catherine. This census also indicates that Michael is a naturalized citizen, and that he owns the house, valued at $8,000. The other children married as follows: Mary married Lawrence Schwartz in 1923; Clara married William Frese in 1921; Charles married Edna Sauer in 1923; Agnes married Walter Volz in 1921; Thomas married Barbara Keckler after 1930; and John married Iona (maiden name unknown) after 1930. The youngest child, Dorothy, became a nun. 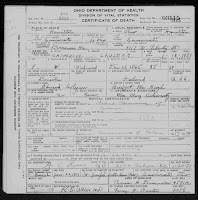 Michael J. Crusham was 75 years old and retired when he died at home on 23 July 1937. His obituary remembers him as a man who was noted for Irish Folk Dances. His wife and all nine of his children survived him, which was quite something in a time period where many children died shortly after birth or through childhood diseases. His story carried on through Catherine and the children. After Michael and Catherine got married in 1887, they continued to reside at 57 Mill Street. Michael's mother Mary lived there as well, perhaps in the same apartment, as did Catherine's father Edward. Unfortunately, Catherine's mother Bridget had died in 1886 at the age of 42. How sad she must have been not to have her mother at her wedding! As mentioned earlier, Michael worked for the Cincinnati Southern Railroad as a freight truckman. His responsibilities would have included loading and unloading cars in the rail yard, and shifting freight in the freight-houses. 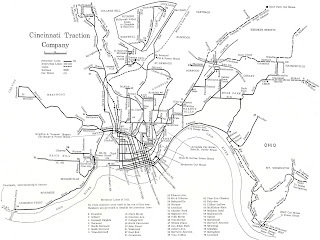 The Cincinnati Southern Railroad is owned by the City of Cincinnati, the only municipality in the country to own an interstate railroad. Running from Cincinnati to Chattanooga, the first freight train completed the route on 21 February 1880, with the first passenger train following on 8 March. With the addition of rail routes into the city, a new train station was completed in 1883. The three story head house was on the corner of Third and Central, and the train shed was wide enough for eight tracks and five platforms. The station was called Central Union or Grand Central Depot. The railroad yard was an easy walking distance from the Crusham's home on Mill Street, as can be seen on the map below. The approximate location of the home is illustrated by the black star, with the station indicated as Grand Central Depot on this particular map. It must have been of great comfort to Catherine to have the extended family so close when her first child was born later in 1887. 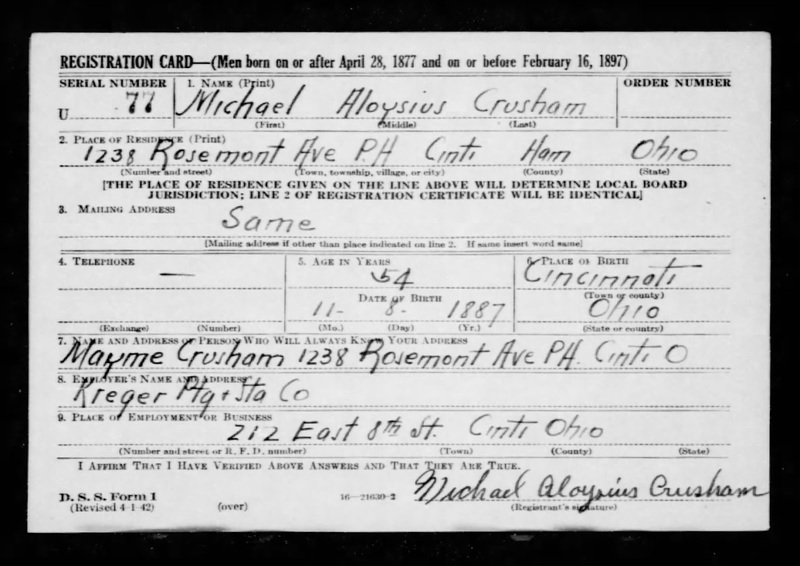 Michael Aloysius Crusham entered the world on 8 November 1887. He was at a minimum the fourth first born son to be named Michael in the Crusham family. Two years later the family expanded with the addition of Edward in 1889, and then Mary in 1892, Clara in 1894, Charles in 1896, Agnes in 1899, Thomas in 1902, John in 1906, and Dorothy in 1908. The children were all most likely born at home with the assistance of a midwife or a female neighbor. Perhaps the size of the family is why they finally left Mill Street around 1906 and moved five blocks north to Hathaway Street. Also, Michael no longer had to take his mother into consideration. Mary had died of heart disease in 1902. She was 80 years old. 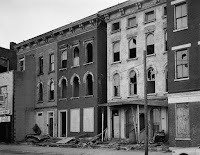 Michael and the ten other members of his family stayed at the home on Hathaway Street until 1913, the last year the Crushams lived in the City of Cincinnati. What made him leave the only area he had ever known in the United States? Michael Crusham did more than marry the girl next door - he married the girl who lived at the same address as him! The Colgan family had long lived on Mill Street, mostly at the building numbered 57. Michael and his mother also lived at 57 Mill Street in 1887, and it is most likely there that Michael first met Catherine. He was 30 years old, and she was 23 when they married. Michael was thin and of average height, and proud of his Irish heritage. He could dance a mean Irish Jig, and even won a loving cup at Coney Island on Irish Day one year. His children stated that he never lost his Irish brogue. Catherine was quite petite, perhaps not even reaching five feet tall. 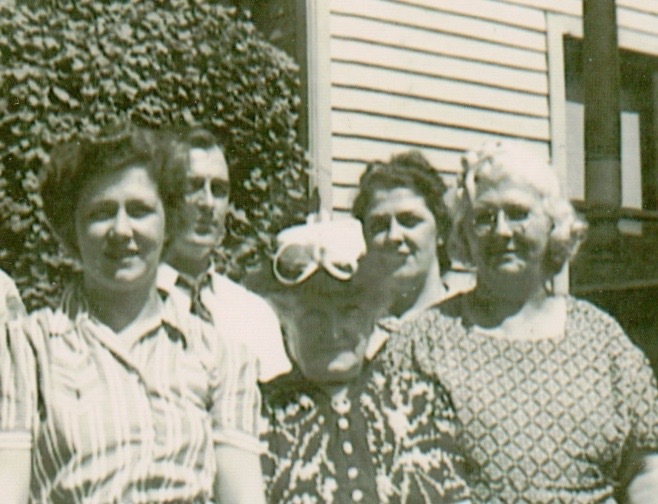 She is shown in the center of the photo below with her daughter-in-law and two of her granddaughters. The photo gives perspective to Catherine's height. 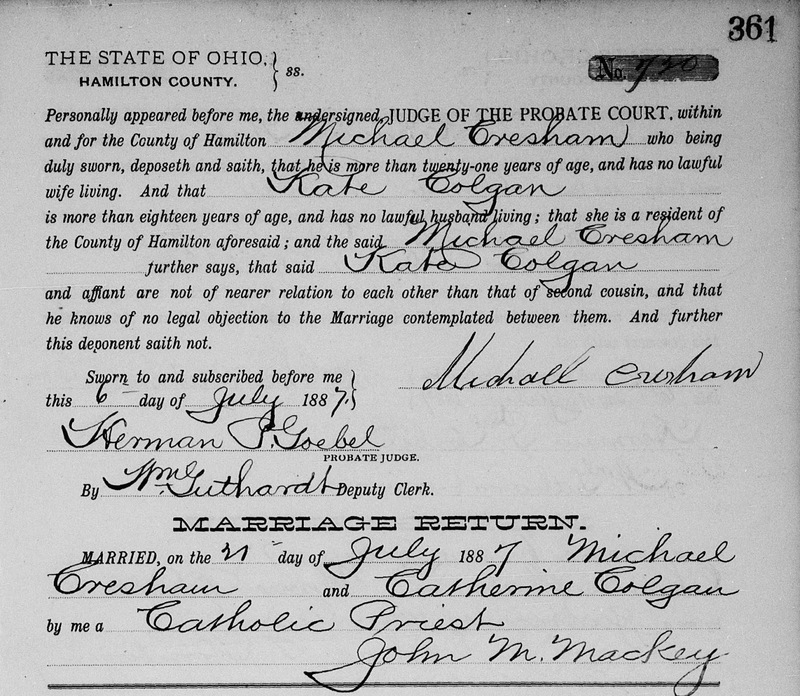 Michael and Catherine appeared before Herman Goebel, Probate Judge, on 6 July 1887 to apply for a marriage license. 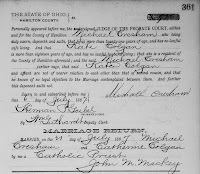 The Marriage Return at the bottom of the document indicates that Michael Cresham (interesting to note that his last name is misspelled) and Catherine Colgan were married on 21 July 1887 by John M. Mackey, a Catholic Priest. They may have been married at Saint Peter in Chains Cathedral at 8th and Plum Streets as that is where John Mackey was assigned in 1887. 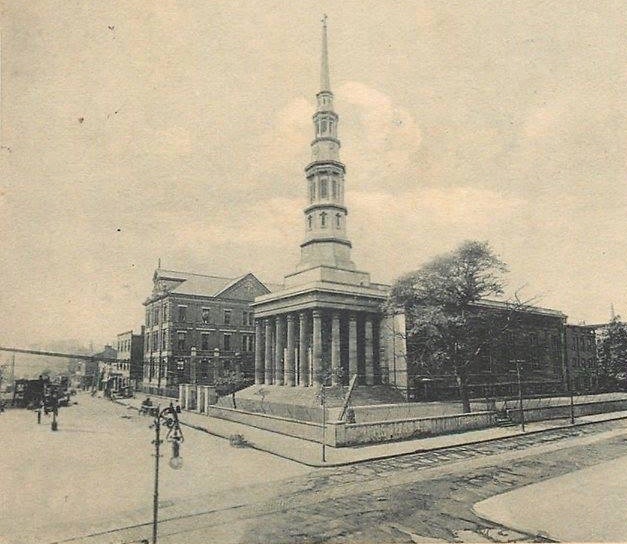 Saint Peter first opened in 1845, and its single spire was the tallest man-made structure in the city for many decades. 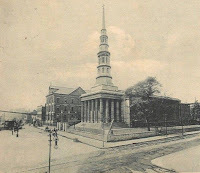 The church is located very near City Hall, and not too many blocks from where the Crusham and Colgan families lived, so it is very conceivable that this was the location of their marriage ceremony. Conceive is a good word for this couple, as they did a lot of it over the next 21 years.